Digital technology is transforming every industry in the world, and the metals industry is no exception. Crowe LLP and Fastmarkets AMM explore the factors leading change in the Digital Transformation in the Metals Industry survey. This quick, 10 minute survey seeks to understand how metals companies view technology in the context of business strategy by looking at the following factors: Business application implementations in process and planned, Use or planned use of data analytics and business intelligence to influence decision making, Viability of advanced technologies such as artificial intelligence, machine learning, and additive manufacturing for the metals industry Participants will be entered to win a pair of Bose wireless headphones. Click to participate in the survey now. The key tube & pipe producers in Europe and the Middle East. For your information, Fastmarkets presents a map showing the key tube & pipe producers in Europe and the Middle East in 2018. Click to download the full version of this map in a new window. The Fastmarkets IM Lithium wall chart map 2018 will showcase lithium projects in development, those already established and their current projected production capacity details whilst also detailing world resources and areas that could be developed in future. You will also find information on different lithium types, an infographic showcasing end markets and processing flowchart of brine and rock deposits to intermediary products and end-use markets. To sustain planet Earth and combat the advance of global warming, scientists calculate that the world must cut greenhouse gas, or carbon dioxide emissions. We think steel will be a major player in the transition to renewable energy. Click to learn more. The United States’ crumbling infrastructure not only poses a physical danger to the operators, passengers and consumers of the goods and commodities shipped across the country’s roads, rails, bridges, inland waterways, pipelines and electrical grid, but threatens to undercut the economy built upon it. Global structural steel usage will continue to grow on an annualized rate of 5.5% through 2025. Fueling the growth are developed countries - including the United States, United Kingdom and Germany – that will continue to build residential and non-residential structures, such as schools, offices and hospitals. Click to learn more. 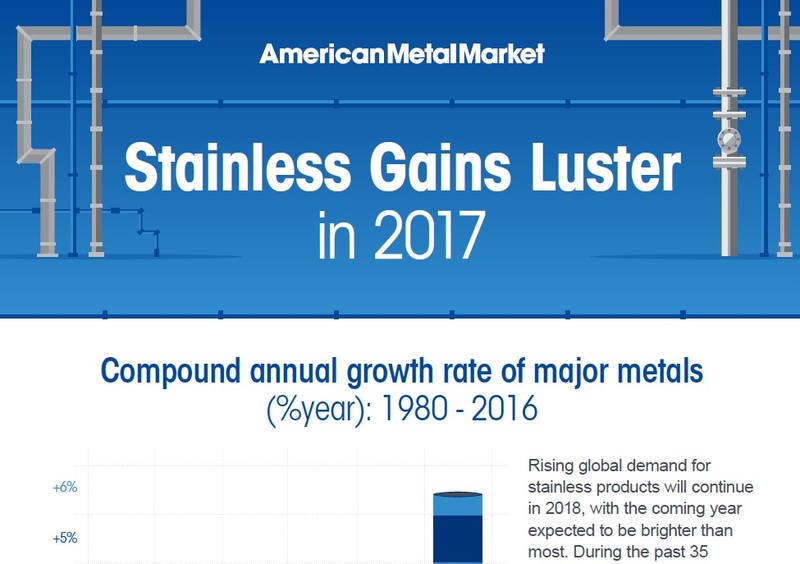 Rising global demand for stainless products will continue in 2018, with the coming year expected to be brighter than most. During the past 35 years, the stainless growth rate has been more than double the compounded annual growth rate of carbon steel, with even larger gains made than in aluminum. Click to learn more. Take a look at this infographic for more information on how stainless steel has been used in the past and the advantages of using it today and beyond. Despite some mixed views, 2016 so far has been a better year for domestic steel than 2015, judging by where several leading indicators-including production, prices, shipments and trade issues-have moved or may be moving the sector. Blockchain. Machine Learning. Augmented Reality. Join Fastmarkets AMM and Crowe to learn how the metals industry is approaching these potentially transformative technologies. Join this webinar to learn: A framework for approaching business transformation with technology and insights from the 2018 Metals Industry Technology Survey. Register to view the presentation on demand. The second video in the series looks at the surge in Gold options trading, factors contributing to increased volume, and what trading opportunities this could present: Building momentum in gold options, rise of trading during non-U.S. time zones points to significant role of Asian, European traders in Gold options, Improved bid-offer spreads and depth of book in all time zones, and substantial growth of weekly gold options in 2018. Watch the video today! Watch the first video in a series of special Trader's Edge reports focusing on the metals options markets. Copper is the second most liquid metal futures contract at CME Group. Given its role in the world economy, traders watch Copper for signs of economic health. In the wake of recent market moves, Copper options volume is growing dramatically at CME Group: Bid-offer spreads are narrowing, Depth of book is improving, ADV up less than 200 contracts to nearly 1,500 contracts a day and Open interest has surpassed 24,000 contracts. Watch the video today! Talk is cheap, tariffs expensive. In the current gamesmanship over trade, the aluminium market is going to penalty kicks and anything could happen. Erik Norland, Senior Economist, CME Group examines what the macro impact of the trade war would be for the aluminium industry. He will discuss potential scenarios as trade barriers and how they will impact the markets. As declarations of tariffs and retaliatory measures affect prices of futures and premiums in cash markets, adding volatility amid the potential for disruptions to large swath of the supply chain, Richard Stevens, CME Group Metals Research, will discuss how firms can manage risk. Agenda: how are futures contracts for aluminium being used by the industry, an overview of volumes of premium contracts and what issues are being responded to by the creation of premium futures contracts. Webcast Webinar On Demand: Insights & Action: Where do you place in the race to exploit Metals’ digital frontier? 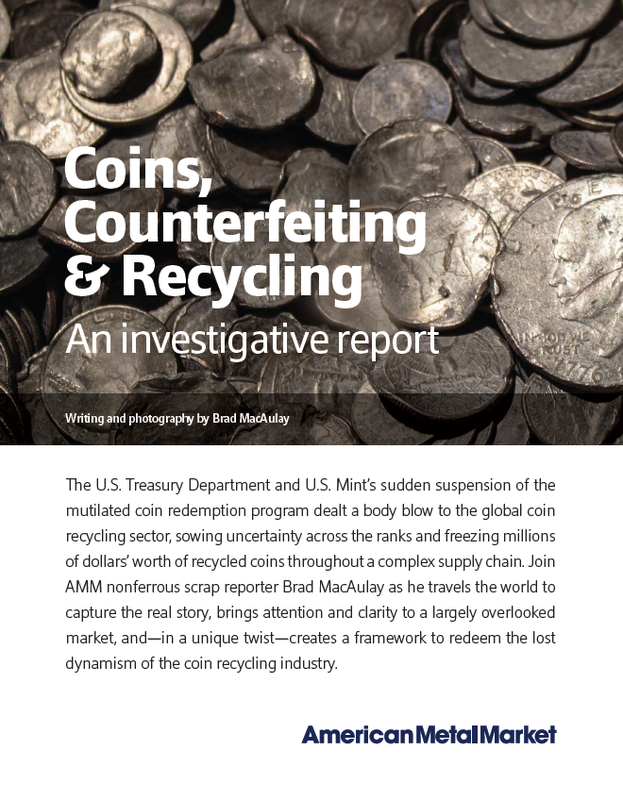 Don’t miss this unique opportunity to arm yourself with real-world insights derived from the seventh annual survey of Technology in Metals conducted jointly by Fastmarkets AMM and Crowe LLP. The survey results serve up actionable insights by tracking the latest shifts in priorities, cutting-edge tools, and adoption trends by decision makers driving Metals into an unprecedented era of digital evolution. 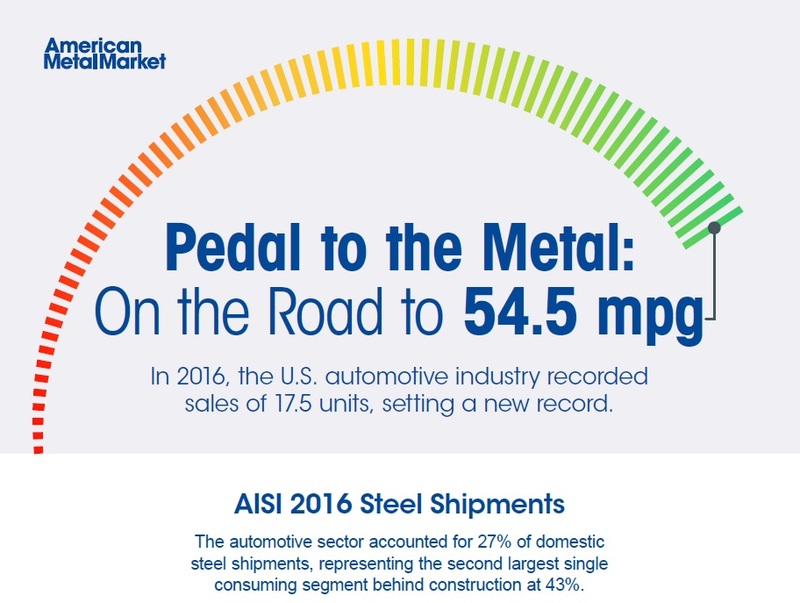 Benchmark your organization’s progress against the entire metals supply chain. Tune in as Webinar presenters share, analyze, and discuss, key insights garnered from the latest survey and explore their significance in the context of today’s competitive landscape and market conditions. Register to view the presentation on demand. With growing complexity and regular volatility in the metals market, manufacturers are dealing with new challenges in planning orders, materials, and equipment. Organizations need new ways to remain agile while improving overall OTIF delivery rates and profitability. How will you adapt in 2018 to tackle complexity head on? Join us for this special webinar in partnership with Quintiq where we’ll discuss: The factors making it harder for metals producers to forecast, plan, and manufacture their products, why investing in a supply chain that full integrates planning with execution is key to maintaining competitive advantage, how metals manufacturers are utilizing leading-edge technology to improve throughput and reduce costs. Highly complex iron ore pellet plant designs and increasing numbers of process parameters to be monitored by the operators are leading to undesired fluctuations in energy consumption. The related increase in a plant’s energy consumption and operational costs can be avoided by implementing the Outotec® Optimus advisory tool. Based on highly accurate process models, Optimus calculates an energy-efficient operational strategy for the plant and generates clear recommendations for the operators on what actions should be taken. Learn more about Outotec Optimus – a digital expert available around-the-clock to ensure that your plant efficiency remains as high as possible over its whole lifecycle! If you are manufacturing like a boss it means you master the four key transactions: Purchasing Receipts, Issuing Material, WIP to FG, Shipping/Invoicing, know your costs (freight, labor, outside services, overhead, other, material) with accurate precision, price your parts competitively and profitably, quote your jobs correctly with speed and accuracy, reduce your risk by knowing and not guessing. When you are doing the above, you are making parts faster, making parts better, watching it all in real time, and knowing exactly what everything costs – otherwise known as “manufacturing like a boss.” So let’s get back to basics and manufacture like a boss with these 13 to do’s. Download the whitepaper today. The current isolationist trend among certain nations and governments has shaken up many industries, including global aluminium trade. Rising prices and upswing in demand for contracts used to manage risk are just a few indicators of the cracks in the global trade’s previously strong foundation, particularly in the United States. Where will the biggest realignments take place, and what might the landscape look like after the shifts? How severe will the resulting changes be? A new paper from Fastmarkets MB and CME Group takes a look at what’s on deck for aluminium in the months and years to come. Materials buyers are going digital, and metals suppliers need to keep up. Contemporary material buyers tend to research – and buy – materials online. More material suppliers are addressing the trend and turning to the Internet. But simply having a website is not enough. You also need a comprehensive digital marketing strategy.This guide from Matmatch introduces the most important tools and channels to consider, as well as tips on how best to utilise them. It covers: Google Analytics, SEO, PPC advertising, and Social media. It also introduces Matmatch, which offers suppliers a way to take advantage of the digital opportunity today. Break down the barriers to boost your operations. The real world does not operate in silos, so why should your business? An integrated planning solution can provide continuity across all planning horizons and every aspect of your operations. In this guide from Quintiq, discover how to: Increase efficient resource utilization, enhance visibility across multiple sites and improve throughput while reducing costs. For international metals manufacturers, Digital Transformation begins with a global solution in mind. When Haynes International began the search for an integrated ERP system, their success was based on three significant factors: Microsoft Dynamics - A leading enterprise business application, Crowe Metals Accelerator - An industry-tailored solution, Crowe LLP - a Microsoft Industry Partner for Metals. Download our latest case study and learn how Crowe's systematic plan for global improvement helped bring Haynes onto the forefront of Digital Transformation. Our 2018 Crowe and American Metal Market’s metals industry survey provides a look at the factors driving digital transformation within the industry. The survey focuses on how metals companies are using or planning to use technology to improve: customer service, products and services and reporting. Respondents are high-level executives from a cross section of metals-based companies including mills, producers, processors, service centers, scrap recyclers and manufacturers. Since the enactment of Section 232 in March, there has been a flurry of activity and uncertainty regarding steel prices. Now is the time to reevaluate your price risk management strategies to protect your margins and earnings. This white paper explains four price risk management strategies along with the steps to take in order to determine which strategy is best for your company.